It's no secret that I'm a huge fan of the Kardashians. The show is my little guilty pleasure, and what I most enjoy about the show is the fashion and beauty. There is so much makeup and style to ogle at! 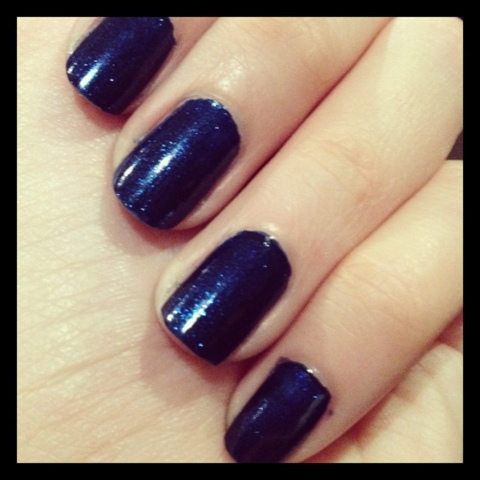 So it came as no surprise to me when Nicole by OPI announced a collaboration with the Kardashians. I then waited patiently for the range to launch on Australian shores. I assumed that they would cost a bomb but when I saw the display at the pharmacy, I was pleasantly surprised to see that each bottle only cost AUD12.95. I initially wanted Kendall on the Katwalk, but it had already sold out. I picked up Listen to Your Momager and knew that this was the one I wanted - I love rich blue hues, and my Chanel Blue Satin just wasn't cutting it for me - not enough blue or shimmer! 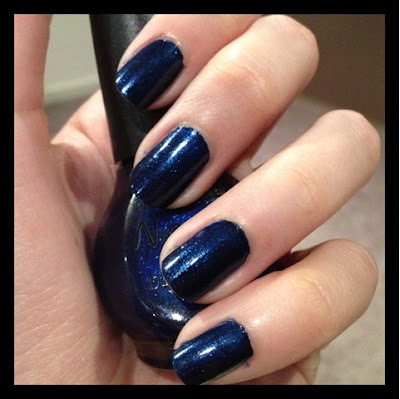 Listen to Your Momager is a deep blue shade with blue glitter. It is pretty sheer, so you need to build up to about 3 coats to reach full opacity. It dries down to a nice semi-matte finish whilst still maintaining its sparkle. I've found that the best way to use this is to layer it on top of a dark blue or black base - that way you only need two coats of nail polish overall, excluding the base and top coats. 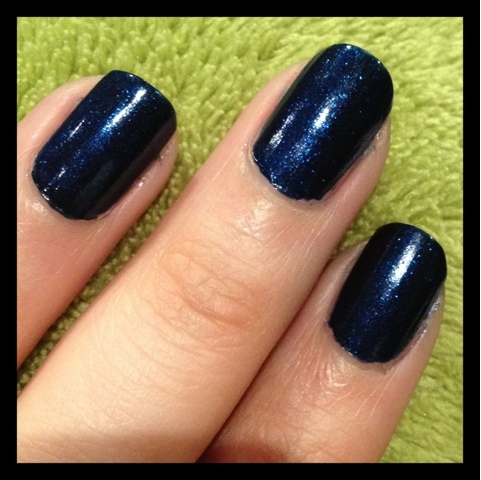 Below are some pictures of the polish swatched on my nails. This is a gorgeous nail polish and I'm so glad I purchased it.